Leon Lott is a traitor. Leon Lott is a treasonous Sheriff in charge of law enforcement for the unincorporated area’s of Richland County, South Carolina. Only a year after the joint drills of the Richland County Sheriff’s Department and the US military raised eyebrows, Sheriff Leon Lott of the RCSD has once again announced that the department will be conducting drills that involve the joint training of civilian law enforcement and the US military. On May 8, 2015 it was reported by WLTX that the Richland County Sheriff’s Department will be conducting drills in conjunction with the 3rd Special Forces Group out of Fort Bragg, North Carolina. The exercises will take place at late-night and pre-dawn and will run from May 8 until May 15, 2015. Citizens have now been informed that Sheriff’s Department and Military vehicles will be traveling in the Lower Richland County community near Eastover and Hopkins as well as Elgin near Screaming Eagle Road. The vehicles will also be traveling in the North Richland County area near Monticello Rd. The Sheriff’s Department has announced that residents in these areas may hear explosives being detonated and ordinance being set off as well as shots being fired. It is worth nothing that the drills will be taking place in the exact same location as last year’s drills. With this in mind, and taking into consideration not only the increasing number of military and joint military/law enforcement drills taking place over recent years practicing the round up, disarming, and relocation of American citizens as well as the ongoing Jade Helm exercises taking place across the country, it is highly likely that these drills are of the same category. After all, the last time they were conducted, they apparently contained a number of these elements. The fact that the police and military are engaging in joint drill exercises in violation of Posse Comitatus and a long-standing American tradition of separation between domestic policing and military activity is concerning enough. However, if they are training for domestic operations such as raiding American farm houses, setting up domestic checkpoints, and conducting other related raids on the home-front should be terrifying to every single American that desires to keep what little shred of freedom they have left. 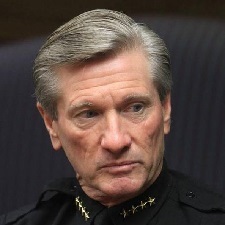 Unfortunately, it has become abundantly clear that the American military and indeed Sheriff Leon Lott of the Richland County Sheriff’s Department see the American people and the people of South Carolina as the enemy. Kim C. Dine is a traitor. Kim C. Dine became the Police Chief of the United States Capitol Police (USCP) Department on December 12, 2012. Chief Kim Dine swore allegiance to protect and defend the United States Constitution, along with accepting the duties as police chief in protecting the Members of Congress and their families throughout the United States, its legislative processes, employees, visitors, and facilities from crime, disruption, or terrorism. This includes protecting life and property; preventing, detecting, and investigating criminal acts; and enforcing traffic regulations throughout a large complex of Congressional buildings, parks, and thoroughfares. 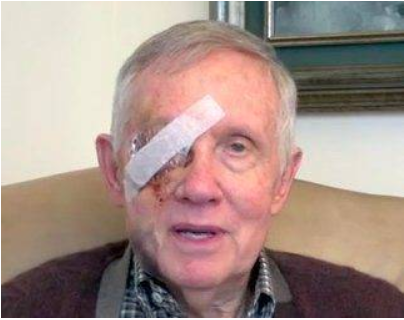 As of April 6, 2015, Police Chief Kim Dine is unlawfully withholding information about the circumstances surrounding Senate Majority Leader Harry Reid’s (D-NV) gruesome New Year’s Day injuries. Despite several news organizations sending numerous phone and email requests for this information to the Capitol Police, no such information has been provided. 1. If it was an accident, what are the details of that accident? 2. If it was not an accident, was it an assault? 3. If the possibility of assault on a member of Congress, a federal crime, has not been ruled out, why is the FBI, which has jurisdiction over such matters, not currently investigating? 4. If it is a possible assault and the Capitol Police have not reported it as such to the FBI, would such a failure to report constitute obstruction of justice? Chief Kim Dine and the Capitol Police, however, are not subject to the HIPAA privacy rule, and their release of all the information related to Reid’s injuries is in the public interest. At present, they appear to be stonewalling at best. Failure to fully disclose its activities is nothing new to the Capitol Police and Chief Kim Dine. 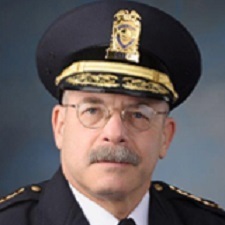 In fact, the Capitol Board, the three person body that is the governing authority established by Congress to supervise the Capitol Police, has become increasingly frustrated with how Chief Kim Dine has operated the Capitol Police. In January 2015, the board–Sergeant at Arms of the Senate Frank J. Larkin, Sergeant at Arms of the House Paul D. Irving, and Architect of the Capitol Stephen T. Ayres, held a testy supervisory meeting with Kim Dine and Deputy Chief Daniel B. Malloy, in which they expressed dissatisfaction with Kim Dine’s lack of disclosure regarding several recent high profile incidents. 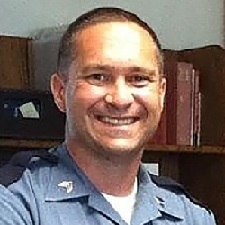 Capitol Police chief who stonewalled release of Harry Reid injury data reportedly resigns. U.S. Capitol Police Chief Kim C. Dine has submitted a letter of resignation to the Capitol Police Board, multiple sources with direct knowledge of the situation confirmed to CQ Roll Call. It is not currently known whether the letter has or will be accepted by the three-member board, made up of the House and Senate sergeants-at-arms and the Architect of the Capitol. Multiple attempts to secure a comment from Dine were unsuccessful. The chief’s letter of resignation also comes amid reports of conflict within the department, which employs 1,775 sworn officers and 370 civilians. A recent CQ Roll Call report detailed growing frustration among rank-and-file officers regarding alleged policies passed down from department brass that officers should not participate in “low value” stops around the Capitol campus. The officers said the top priority was combating terrorist threats against the Capitol and lawmakers, with day-to-day policing taking a backseat. Lawmakers questioned Dine about officer morale at a recent House Legislative Branch Appropriations Subcommittee hearing. As in Alice and Wonderland, things keep getting curiouser and curiouser about Harry Reid.